Ajax’s run in the Champions League was due to come to an end when they were paired with Real Madrid in the quarter-final. However, two excellent performances saw them knockout the current holders and handed them another tough assignment against Juventus. Having been held 1-1 at home, Ajax went to Turin and produced another tremendous display to defeat the Italian champions 2-1 on their own soil and book a place in the semi-final. Ajax played superbly as a team but there were also some brilliant individual displays, none more so than Matthijs de Ligt. The young defender played out from the back with confidence and looked like a man who had been playing at the top level for several years. The centre-back not only marshalled the defence throughout the 90 minutes but also popped up with the winning goal from a corner in the second half. The 19-year-old has been praised for his role in Ajax’s sensational Champions League run this season and that has led to some attention from other clubs around Europe. Barcelona are not averse to singing Dutch talent or having a Dutch manager as their history shows. They have already sealed the transfer of midfielder Frenkie de Jong from Ajax and could be about to make a move for his teammate. With Samuel Umtiti rumoured to be leaving the Camp Nou in the summer, that could pave the way for De Ligt to join the La Liga club. Current leading centre-back, Gerard Piqué, turned 32 this year and while he is still performing at the top level, he is entering the latter stages of his career. Clément Lenglet is the other first choice central defender at present and at 23-years-old, he could form a long term partnership with De Ligt, should he sign for Barcelona. 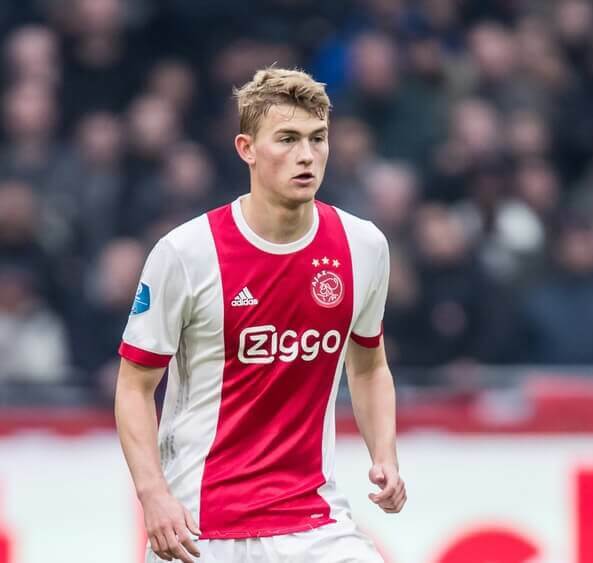 PaddyPower offer just 1/3 for De Ligt to be wearing the colours of Barcelona come the end of the summer transfer window. This season has been far from great for Bayern Munich. They may still win the Bundesliga but the squad needs freshening up and De Ligt could be the start of that process. With Jerome Boateng and Mats Hummels already out of favour with the German national team, could the same be about to happen at club level? Both players are 30-years-old and have been below their best this season. Could a partnership between Niklas Sule and De Ligt be the future for Bayern Munich? The Dutch international is 11/2 with Betfair to make the move to the Bundesliga this summer.